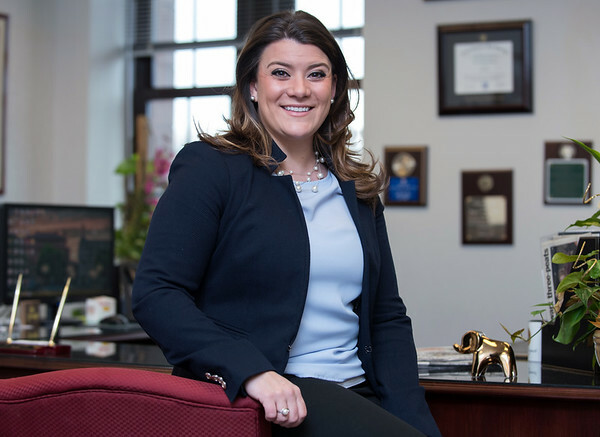 NEW BRITAIN - Republican Mayor Erin Stewart announced Monday morning she is running for a fourth term. “My vision is crystal clear: keep investing, keep building, keep leading, and keep stepping forward. That is why I am proud to announce that I am officially seeking re-election as your mayor,” Stewart said in a video posted on her mayoral Facebook page Monday morning. In the video, she highlighted her accomplishments as mayor. She went on to explain what leadership means to her. “Leadership means doing what you know is right, especially when it isn’t popular or easy. It means telling people where you stand, where you want to go, and then going there. Leadership means holding yourself accountable for both the successes and the shortcomings. If New Britain is going to continue stepping toward a brighter future, it will take leadership,” she added. Stewart said she believes a fourth term would allow her to accomplish many goals she has for the city. Stewart was first elected mayor of New Britain in 2013 and went on to be re-elected in 2015 and again in 2017. In 2018, Stewart set her sights on a position in state government, first announcing her campaign for governor, but dropping out of the run for the top seat and entering the race for lieutenant governor where she was defeated. Stewart said her strength as mayor is her experience, her ability to relate to members of the community and her efforts in helping residents learn how government works. But she said she also recognizes the challenges that come with the job. With seven months to go before Election Day, Stewart already has a challenger. Christopher Porcher, a Democrat from New Britain, announced his candidacy for mayor last week. Stewart will host a re-election kickoff event on Tuesday, April 23 from 5 p.m. to 7:30 p.m. at the VFW Post 511, 41 Veterans Drive. The entry fee is $25 per person. To learn more about Stewart and her campaign visit stewartfornb.com. To view Stewart’s video announcement, visit www.facebook.com/ErinStewartCT, StewartforNB.com, or YouTube at youtu.be/cj1l1ZIwTjs. Posted in New Britain Herald, New Britain on Monday, 15 April 2019 20:37. Updated: Tuesday, 16 April 2019 10:40.